An Australian favourite, designed to keep your skin protected. Enjoy the beatiful Australian outdoors without the worry of damaging your skin with some of these convenient sunscreen containers. 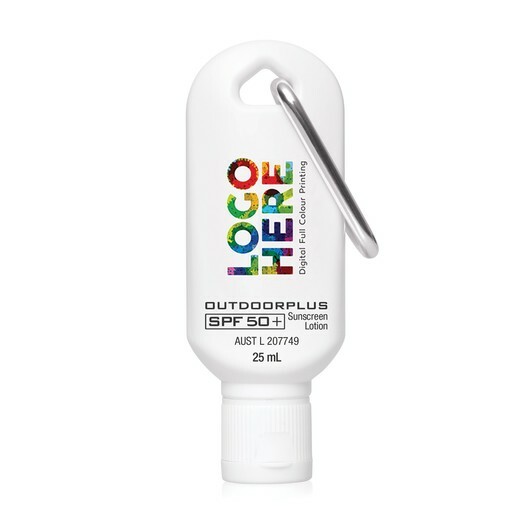 Each bottle is printed with your logo for an effective marketing promotion! They are made in Australia and feature a carabiner clip for easy transport.